It would be fair to say that we’re living in interesting times, as the proverb goes. If, like me, your adolescence belonged to the beige, homogeneous late 1990s, you may well have grown up thinking that ‘history’ was something our generation had a comfortable distance from. Aged nine or ten, we heard how McDonalds had got itself a pitch on Red Square; at fourteen or fifteen, our schools started running economic foreign trips to Prague, Budapest and Dresden, destinations opened up by the fall of the Berlin Wall. While we were more than aware of the conflicts in the former Yugoslavia, Chechnya and East Timor, we were encouraged to interpret such events as local disputes which could be ironed out diplomatically or, at worst, through a brief aerial offensive. None of them seemed to endanger the free market consensus. 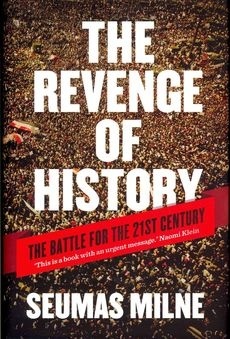 Seumas Milne’s new book The Revenge of History, which collects a number of his opinion pieces from 9/11 onward, is an engaging and unsettling demonstration of how the last decade of war and recession has undermined the post-1989 Pax Americana and proved once and for all that the so-called ‘End of History’ – a phrase coined in the 1980s by Reaganite intellectual Francis Fukuyama – is an ideological construct. Milne has been one of the most energetic voices of political dissent in Britain since the dissolution of the Soviet Union, acting as Comment Editor at the Guardian and writing The Enemy Within, an undaunted analysis of Margaret Thatcher and MI5’s ‘dirty war’ against the miners. 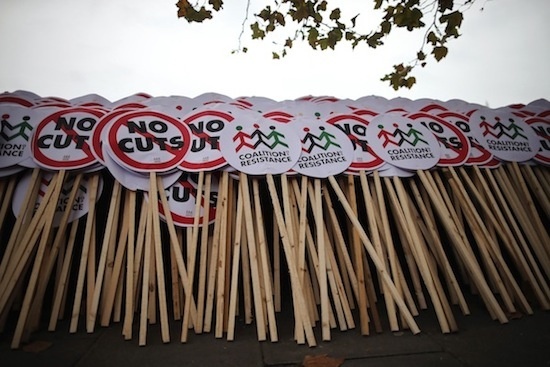 The day before the TUC-led march against coalition cuts took place in central London, I caught up with him to chat about The Revenge of History and the enormous shifts that have occurred in global politics since 2001. I didn’t realise at first that The Return of History was going to be a collection rather than a work from scratch, as it were. How did it come about? Seumas Milne: It’s about the grouping of it; it’s an attempt to make an amalgam. I was asked to do it by a couple of publishers, but in a way it came about because on the anniversary of 9/11 I wrote a piece that was a retrospective on the reaction. On 9/11, I was Comment Editor on the Guardian and we published a full-spectrum debate on what had happened and what should happen – the reaction at the time was completely hysterical. We were denounced by the rest of the media, and Michael Gove called us a ‘Prada-Meinhof’ group. Of course when you revisit what was said at the time it is another world, a parallel universe. It just drove home to me how everything the establishment – politicians, the mainstream media – had said proved to be utterly wrong, and everything we had said had turned out to be correct. Generally, the right in politics has the habit - or has in the last few decades - of trumpeting its vindications, real or imagined, and the left doesn’t – partly through a loss of confidence over the last few years. I felt that it was necessary to revisit this stuff and point out that all these things to do with the War on Terror, Afghanistan, Iraq…you know, many, many people who had opposed those things have been completely vindicated. The things that we’d said at the time would happen did happen, and the things that the other side said were shown to be completely wrong, so I wrote that piece and after that I was asked to do the book. After 9/11 - when the Guardian ran that piece - did you feel singled out? SM: I was singled out not just because of what I wrote myself - which is included in the book - but also because I published the whole spectrum of views; from neoconservatives to Islamists. At that time to publish anything drawing attention to what drove the 9/11 attack and to denounce or question or oppose the drive to war was considered almost like treason. We’re now a decade on and although the War on Terror has been discredited, the United States and its allies are now trying to find new forms of intervention in the Arab and Muslim world. SM: You’d have to go back to the end of the Cold War, the collapse of the Soviet Union and the sense that was created at that time that the end of a whole historical experiment, in a form of socialism that had collapsed – had shown that there was no systemic alternative to liberal democracy and free market capitalism. Fukuyama at that time was arguing that the struggle between different ways of running society had been resolved in favour of capitalism and capitalist democracy, so in that sense history as a battle between different social forces and ideologies had come to an end and that now the whole world was going to adopt this model. At the same time George Bush Senior announced that this was now going to be a new world order of American-dominated global politics and power systems and it was going to be based on neoliberal capitalism, and the story was told that there were no more political or social alternatives. 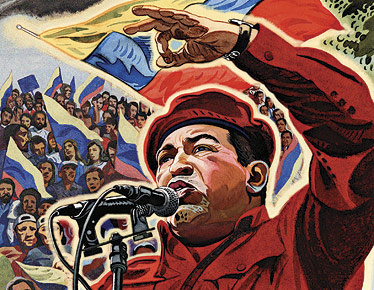 History had come to end, socialism had been consigned to history, and there was going to be a new unipolar world with one superpower and the only use of violence would be to bring to heel rogue regimes who refused to accept the new order. That was basically the picture until the American administration under his son, allied with Tony Blair and others, in their reaction to 9/11 triggered off a sequence of events in Afghanistan, Iraq, and more widely in the Muslim world that actually ended up exposing the limits of American power rather than its strength. Effectively, they suffered a strategic defeat in Iraq and Afghanistan, and they showed, rather than their omnipotence, their inability to impose their will on people who were prepared to fight back. I would argue that it came to a head in 2008 when that American weakness was revealed at the time of the war in Georgia and Russia’s defiance of American diktat and power. In the same few weeks the crash happened in the United States: when these two things came together you saw a failure of the unipolar world, a demonstration of the weakness of American power rather than its strength and at the same time the collapse of the neoliberal capitalist order that had dominated the world since the end of the Cold War. That’s why I say it’s the end of the new world order. In between 9/11 and 2008 do you think people still had a sense that they weren’t really living in history? I think it was, in retrospect and at the time, a very disorientated world. Whatever people thought about the Soviet Union and its allies and what was going on in those countries, there was a sense throughout the twentieth century that there were alternatives - socialist political alternatives. The Soviet Union and other states of that type would devolve in different directions, but I don’t think most people expected that it would collapse into a form of feral capitalism and social disaster. In the United States there was confusion about how you ran a new order when there were no significant enemies. They worried about that and, in a way, the Islamic enemy - as it became - of the United States and the western powers was to some extent a confection in an attempt to find a new enemy. Your writing seems to place faith in a kind of inherent socialism amongst the majority of people. Is that fair to say? It’s a common thing in the British media to say that Britain is basically a conservative country. I’d say this is completely untrue, demonstrated by opinion polls going back decades including now. There are some issues – maybe immigration or crime, maybe some issues around benefits – where you could say that there’s right-wing ideas, but on the main strategic economic and social issues there’s a progressive majority in Britain, and there is in most countries actually. Most people don’t believe there should be inequality. They think there should be much more progressive taxation, they think that the rich are running away with the cake, they think that the one percent are benefiting from the way that society and the economy are being run in a way that they shouldn’t. But that’s not reflected in mainstream politics. I think that people have got into a state sometimes where they think that the Iraq War took place even though a million people went on the streets in Britain to demonstrate against it, so that shows demonstrations don’t work. I think that’s wrong. One demonstration never overturned government policy overnight - or very rarely - and on something as strategic and massive as that. That would never happen, although I think it’s important to realise - and this comes out of all the memoirs - the ministers involved in the Blair government were terrified of the demonstration. They were terrified of the strength of public opinion. What was missing was that that mobilisation of people wasn’t connected enough with what was going on in Parliament and didn’t have a continuous enough expression, but I think it was relatively close to being successful. So if people imagine one demonstration is going to change everything of course that’s wrong, but demos, protests, social organisation, trade union organisation, political organisation - all these things are part of the process by which things are going to shift. It’s not going to take one thing or one event or one particular form of protest, whether it’s occupations or one strike. That’s not going to do it. It’s part of a whole social movement or political movement that has to change where we are and where we’re going. In 1994 you published The Enemy Within, which revealed the complicity of the security services and the right-wing press in Thatcher’s victory in the Miners’ Strike. In the last year or so we’ve seen a couple of other conspiracies exposed, namely the phone hacking affair and the Hillsborough cover-up. Do you think there’s now an incentive for people to challenge conspiracies without being dismissed as conspiracy theorists? I think it’s probably easier now to uncover things than it has been in the past. There’s a lot been published in the area of state and intelligence service infiltration of protest and political activism. A lot of that’s been exposed quite recently, so, in a way, there’s more exposure now of that kind of thing than there was when I wrote The Enemy Within. I think quite a lot has come out but, of course, there’s a lot more to come out as well. I think the only danger is that sometimes people can get a bit mesmerised about the power of the police and that can set people against each other in protest groups and movements. But, anyway, that’s part of their game. The police and intelligence services traditionally quite like the paranoia as they like setting people against each other and they want people to accuse each other of being agents. That’s part of their game. You talk quite often about how there’s a kind of right-wing trolling that takes the form of things like efforts to equate the Soviet Union with Nazi Germany. Historians like Niall Ferguson – do they really believe what they say? SM: Niall Ferguson is also an apologist for empire - him and Andrew Roberts. I think they believe it, but a lot of these arguments about history are not really about the history but about the present and about the future. The reason why they defend empire and the historical record of the British Empire - the gigantic barbarities the racist despotism - is not really because of the British Empire, but because they want to give legitimacy and credibility to the modern attempts to impose a form of imperial power and control – in the Muslim world in particular, but all across the developing world. 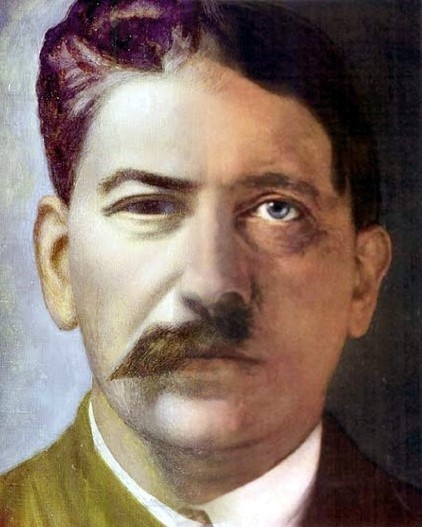 In relation to the attempts to equate Nazi Germany and the Soviet Union, my view is that that is strongly connected with an attempt to show that any move to change society fundamentally is bound to lead to disaster. It’s not really about the past or about the Soviet Union: it’s about saying if you try and go down this route, of thinking that there might be an alternative to capitalism, you’ll only end up in bloodshed and horror. I think that’s why they want to do that and that’s why I think it’s also important to have that argument and understand what was positive in those societies and what was negative; what was a disaster and what was a success. You talk in the book's introduction about major transformations in the last decade - which do you consider to be the most important shifts? There are things happening in the world which I think people should focus on to show that it’s not just rhetoric. To some extent that’s also happened in the uprisings in the Arab world, although again there’s contradictions about that - but these four or five fundamental shifts in the world have transformed it. We’re in a new world which is being born now.